Here at The Peters Company we embrace change. Because if you’re not changing you’re staying the same. And if you’re staying the same that means you’re not getting any better. We all want to improve, right?! 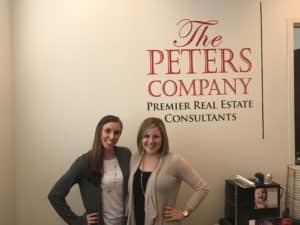 You might’ve noticed some changes taking place over here at The Peters Company and there’s more where that came from! Changes for the good, of course! I’m happy to announce that I’ll be moving into the Listing Coordinator position very soon. Together Jennie and I are going to revamp the entire listing process to bring you a bigger and better system in 2017. Don’t worry though, our beloved Heather will still be a valuable member of our team! Since she is familiar with several different areas of our business, she will be assisting all of us so that we can do more for YOU, our amazing clients! Do you have some housing changes in your 2017 goals? Please give The Peters Company a call today 404-419-3619. We’d be happy to help!